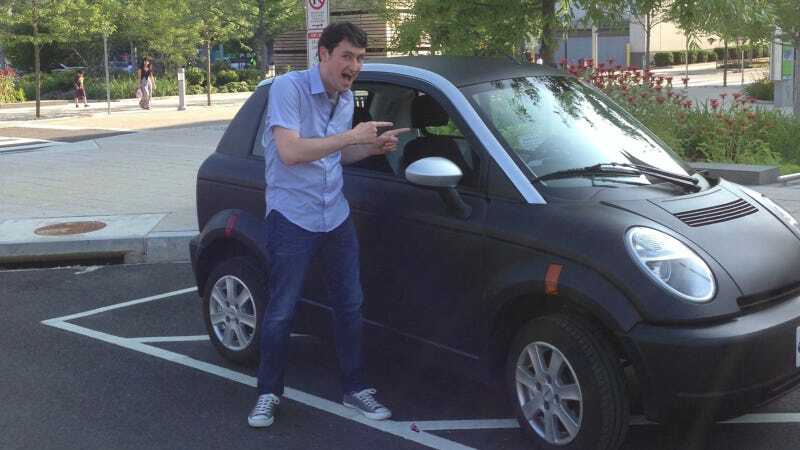 What's The Worst Electric Car Ever Made? Electric cars — they're the future! Except that just like petroleum-powered cars, some of them are absolutely terrible. We can't all be astronauts, and not all EVs can be the Model S.
Electric cars have been making a serious comeback in the last decade or so, but they're actually quite a bit older than the car-buying public seems to think. Plenty of electrics were running around in the early 1900s before they were supplanted by gasoline-powered cars. There are more of them out there than people realize, so there are tons of bad ones to choose from. So here's our question for the day: What's the worst electric car ever made? Anyway, the Th!nk was a Grade-A piece of crap. How would you like to pay $36,000 for a glorified golf cart with a 100-mile range that looks like it was made out of leftover Pontiac Aztek plastic body cladding and had an interior that made a 1990s Mitsubishi seem like the inside of a Bentley? The good news is they didn't get any of our tax dollars before they filed for bankruptcy. For the third time. That's dedication right there. Your turn. What's the worst EV ever?